Those in Bangor exposed March 16-17 to a live bat that later tested positive for rabies should contact their health care provider or Maine CDC. 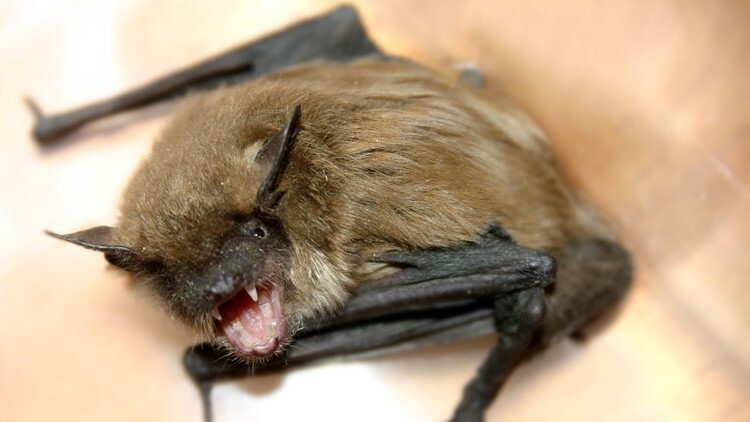 BANGOR, Maine — The Maine Center for Disease Control and Prevention (Maine CDC) is trying to identify several people who may have been exposed to rabies through the handling of a rabid bat in Bangor. According to the public health agency, the potential exposure happened during the weekend of March 16-17 after a live bat was found at or near the Shaw House, a youth shelter near the corner of 1st Street and Union Street. Maine CDC said the bat was reportedly passed among several people who handled it with their bare hands across several locations in the area. The bat later tested positive for rabies. Those at risk of infection are people who had direct skin contact with the bat and did not wear gloves or use a cloth or other barrier, Maine CDC said. There's no risk to the general public in the area where the bat was found for those who did not have direct contact with the animal. Anyone who had direct skin contact with the bat is advised to contact their health care provider to discuss the risks and determine if they need prophylaxis, or call the Maine CDC directly at 1-800-821-5821. Rabid bats are very rare, according to Bar Harbor-based wildlife rehab nonprofit Acadia Wildlife Center. Only one in 10,000 contracts the disease. Director Ann River says the mammals, which hibernate this time of year, can be safely handled by always wearing gloves when picking them up. If you see one and want advice, you can call the center at 207-288-4960. River says they treat and care for many local bats and can help. Rabies is spread when infected animals bite or scratch another animal or person. The virus can also be spread if saliva or tissue from the brain or spinal cord gets into broken skin or the mouth, nose, or eyes. The viral disease is fatal, according to Maine CDC, but preventable if treated without delay after exposure. If direct skin contact is made with a rabid bat, prophylaxis should be taken as soon as possible. Never touch a wild animal or any animal that you do not know, the agency says.